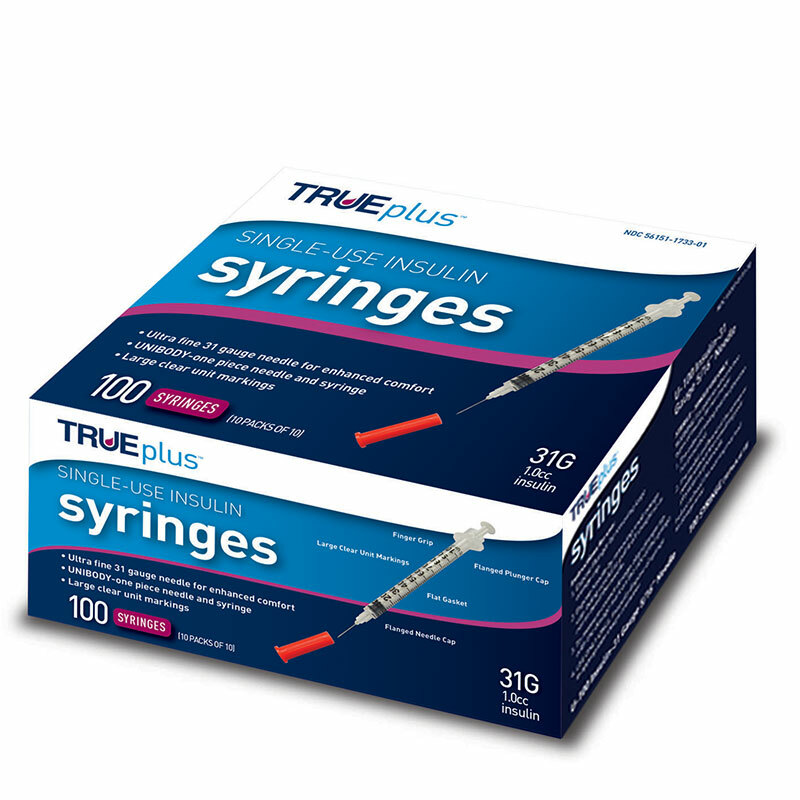 The TRUEplus™ single-use syringes (31G, 1cc, 8mm, 100ct) are easy and comfortable to use. They are available in a wide variety of gauges for enhanced comfort. The TRUEplus™ Single-Use Insulin Syringes are an easy and comfortable way to deliver insulin. They are available in a wide variety of gauges for enhanced comfort. I begin treatment for diabetes in 2011 and start taking shots! My insurance has always paid full price for my BD brand syringes with Walgreens., and the only brand that I have even used! I decided to try Trueplus at my expense, because the BD brand sometimes hurt during injection! Your Trueplus does not hurt at all, and at a cheap price! I have only used 10 each needles, and use them several times, by cleaning needles with alcohol to make them last longer! Even after using them more than once each, they still do not hurt! They would be hard to beat, and at such a low price! Great Customer service, awful product. I would NOT recommend this product to anybody! The needles were so dull I couldn't get them thru my skin. But the customer service was excellent and very helpful addressing the problem. I purchased these because the price was better than others. I am pleased to say that the needles work great. Fantastic price, shipping, and Product! Really don't like this needle. They seem dull compared to others I've used. Also, some seem to have some irregularities such as curvature of the needle.